It’s that time of year again – Macy’s is flooded, Sephora has a line out the door, and people are using books as weapons to cut through lines at Barnes and Noble. We put together a list of healthy holiday gift ideas to make finding the perfect gifts for your health-conscious loved ones a little less hectic! Even better, we compiled lists of relaxing, nurturing, and joy-bringing gifts for every budget bracket. On a tight budget? Check out our under $10 or under $20 section! Want to get something especially special for your someone special? We’ve got a great section of gifts under $100! This list is geared towards helping you have a healthy holiday within the price range that’s right for you! 1. Doggy Foldable Shopping Bag ($1.59): The perfect eco-friendly stocking stuffer, these adorable reusable shopping bags are perfect for anyone to have on hand for an impromptu shopping trip. 2. Vegan Creamy Coconut Shea Butter Soap ($6.50): This pure handcrafted soap is more moisturizing and gentler on the skin than commercial soaps. 3. Rx Bath Cube - Less Stress ($7.00): One of six scents, these bath bombs are made with essential oils, baking soda, and minerals to naturally relax and ease a number of systems. You can also try Cold & Sinus, Detox, Energy, Go to Sleep, and Muscle Ache. 4. Earth Theraputics Dry Skin Brush ($7.70): This Ayurvedic remedy opens up the pores and helps clean out the lymphatic system by promoting circulation and removing dead cells from the skin's surface. 5. Cheerful Mind Balm Aromatherapy ($7.99): This orange, spearmint, cinnamon and rosehip pocket aromatherapy can easily be slipped into your pocket or desk drawer. Rub a little on your temples, forehead, or wherever needs soothing to add a little more cheer to your day! 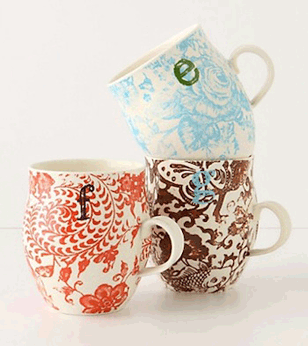 6.Colorful Monogram Mug ($8.00): These festive, colorful mugs feature whimsical patterns and hand-drawn letters of the alphabet. Affordable and extremely giftable for everyone on your list. 7. MSC Joie Kiwi Oil Mister ($8.94): A healthy and efficient way to mist fry pans, veggies and salads. Perfectly coats food and gives you total control over the amount of oil you use. 8.Food Rules ($9.75): This Michael Pollan book is a must-read classic for anyone looking to replace all the diet books on their shelf with simple common-sense advice. 9. 3-in-1 Avocado Tool ($9.95): Any avocado lover will appreciate this simple three-part tool that creates perfect slices of peeled avocado in seconds. 10. Glass Straw ($9.95): This 10-inch straw is made from reusable glass and is a safe and environmentally friendly way to enjoy your healthy smoothies. 11. SW Basics Organic Lip Balm 4-Pack ($15.00): SW Basics Organic Lip Balm is made from simple and certified organic ingredients. This four-pack comes in delicious natural flavors and a cute tin. 12. Grateful Thank You Cards ($16.00): These vibrant thank you cards make it fun to keep in touch and express your gratitude the old fashioned way via hand-written note. 13.Ripe: A Fresh, Colorful Approach to Fruits and Vegetables ($17.95): This cookbook is perfect for your foodie vegetarian friend! It's full of beautiful pictures and even better recipes. 14.1 Month Klutch Club Membership ($18.00): Klutch Club delivers hand-picked boxes of holistic health, fitness and wellness products right to your doorstep every month. 15. Fruit Pigmented Mascara ($18.00): A mascara that is colored with black tea and berry pigments and is water and smudge resistant spells out the perfect gift. 16. 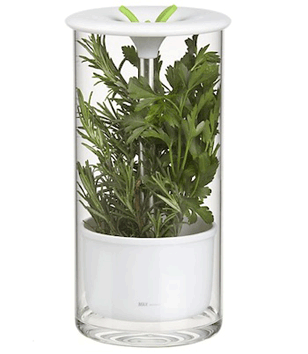 Glass Herb Keeper ($19.95): The glass container is designed to keep herbs fresh for up to two weeks, and it fits perfectly in the fridge! 17. Knitting Loom Set ($19.99): The perfect gift for someone in your life who's always wanted to take up knitting but would prefer a simpler method that produces wearable results. 18. Mushroom Kit ($19.99): Grow your very own gourmet pearl oyster mushrooms in just 10 days with this USDA Organic mushroom kit. 19. Bamboo Cutting Board Combo Pack ($20.00): Have a home chef in your life? This high quality set of cutting boards are crafted from 100% organic bamboo. 20. Teavana Perfect Tea Maker ($19.95): This device is perfect for the tea lover on your list! It is an efficient, simple and clean way to steep tea. 21.NaturOli Soap Nuts ($21.95): As the dried fruit of the Soap Berry tree, soap nuts are a great all-natural, organic, chemical-free alternative to detergent. 22. 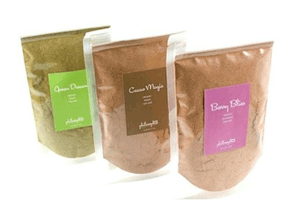 Philosophie Superfood Sampler Pack ($24.99): These amazing blends make it easy (and delicious!) to get more superfoods into your diet. The sampler pack allows you to try all three flavors to find your favorite. 23.BPA-Free Glass Water Bottle ($26.99): This 22-ounce glass water bottle is 100% recyclable and will protect you from harmful chemicals commonly found in plastic bottles. 24. 2014 Letterpress Desk Calendar ($29.00): Printed with a 50-year old vintage press, these beautiful and eco-friendly calendar cards are held in a handmade wooden stand. 25.Lavender Bath Bliss Gift Set ($29.95): Give the gift of relaxation with this organic assortment of everything you need to enjoy a blissful bath, including soap, lotion, a candle, and more! 26.The Wild Table Cookbook ($30.00): The Wild Table takes readers into the woods, featuring more than forty recipes for wild mushrooms, plants, and berries. 27.Non-Toxic Frying Pan ($30.63): Health-conscious foodies will love the original Green Pan because it is not only free from toxins often found in Teflon pans, but it is also non-stick and can withstand high heat! 29. Two Toned Herbal Wrap ($32.00): Stressed out after a long day? This neck wrap is filled with calming herbs including chamomile, valerian root, and chamomile to wash away your stress. 30. "Eat More Kale" Apron ($35.00): This organic cotton, 3-pocket apron is the perfect addition to any healthy cooking session. 31. Measuring Gaggle Cup Set ($36.00): These adorable and functional stoneware measuring cups are shaped like elegant geese. Perfect for both baking and entertaining! 32. Joel the Recycled Monkey ($39.00): Joel the Recyled Monkey is a cuddly stuffed animal made from 10 recycled plastic bottles. Mail-a-Monkey has other adorable eco-friendly giraffes, frogs, and elephants, too! 33. Cardio Core & More Fitness Hoop ($39.95): Give the gift of a fun, full-body, cardio workout with this weighted hula-hoop, DVD, and exercise guide package. 34. The GRID Foam Roller ($39.95): The foam roller is the perfect at-home tool for massaging sore muscles and improving circulation throughout the body after an intense workout...or a hard day at work! 36. Essential Oil Best of the Best Set ($44.95): This set of 14 10mL bottles of assorted essential oils is perfect for anyone interested in aromatherapy. Packed with an informational guide explaining the therapeutic benefits of each oil. 37. Peterboro Bicycle Basket ($45.00): A must-have for all your biking adventures! Composed of 100% USA-grown Appalachian White Ash, this basket is durable and attractive. 38. Organic Tea Gift Set ($48.00): A delectable gift for any tea-lover who appreciates quality organic loose tea. 39. Stainless Steel Salad Spinner ($49.99): The genius design of this salad spinner was inspired by a children’s top. Simply press the knob several times; no pulling required. 40. Personalized Life Planner ($50.00): Stay organized, keep a nutrition and exercise log, plan social events, and so much more! This is perfect gift to help anyone start off the New Year right. 41. 3 Month Subscription to Conscious Box ($56.85): Conscious Box delivers 10-15 healthy and eco-friendly products each month. This gift is perfect for someone who loves experimenting with new nutritious goodies and natural products. 42. Cooler Cleanse ($58.00): Cooler Cleanse offers a 24-hour cleanse with six organic, fresh juices delivered right to your door. This mini-cleanse is perfect for the person in your life who is new to the juicing trend. 43. Plated ($60.00): Plated delivers fresh pre-measured ingredients to your door along with chef-designed recipes. Perfect for someone who wants to cook delicious and wholesome meals in 30 minutes or less. 44. Organic Bathrobe ($64.99): Make sure you and your loved ones are staying nice and cozy this holiday season with a warm, lightweight organic waffle bathrobe! They are easy to wash and the fabric doesn’t wrinkle. 45. Zumba Exhilarate DVD Set ($65.95): The perfect gift for someone who is looking to enhance their fitness routine without going to the gym. 46. The Pure Yoga Mat ($68.00): This yoga mat is specially designed to hold your grip while you're sweating and balancing on one leg. It's a must-have for those hour-and-a-half long Bikram classes! 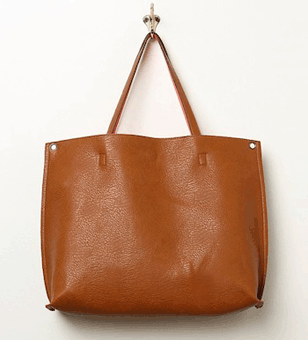 47.Slouchy Vegan Tote ($68.00): This reversible vegan leather tote is perfect for stylishly holding healthy snacks, yoga clothes, a laptop, or whatever else you need! 48. Be The Change Necklace ($68.00): This beautiful and inspiring necklace features Gandhi's famous quote, "Be the change you wish to see in the world" inscribed on a silver pendant. 49. Wicked Good Slippers ($69.00): Keep your toes warm with these "Wicked Good" Slippers from LLBean. They'll be sure to keep you nice and toasty during the coldest winter’s eve. 50. "Look on the Bright Side" Canvas Print ($71.50): The perfect daily reminder to focus on the good things in life. There's always a bright side! 51. Air Plant Terrarium ($79.00): A beautiful, portable garden brings a touch of nature to the house to keep the environment fresh and clean. And it comes in a beautiful glass sculpture! 52. Food Dehydrator ($88.99) From trail mix to kale chips to fruit leather, this is a great gift for that special someone who has an affinity for whipping up healthy and delicious treats. 53. Hot Dog Yoga Mat Bag ($89.95): This ultra-light yoga bag with 8 storage compartments fits any mat and is perfect for the yoga lover on your list. 54. 6 Months of Audible.com ($90.00): Audible.com delivers quality audio recordings of thousands of books. It's the perfect gift for the book lover in your life, or someone who wishes they had more time to read books! 55. Denali Blanket ($95.00): This ultra-soft blanket is crafted from un-dyed, un-treated virgin wool from local sheep hearders in Central Mexico. Perfect to keep you warm on a cold night. 56. 8” Steel Korin Chef’s Knife ($97.00): A chef’s knife is an indispensible tool in the kitchen. This Japanese-style high carbon steel knife gets rave reviews and is a favorite of professional chefs. 57. 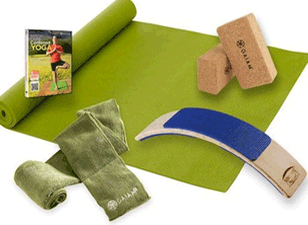 Home Practice & Stretch Kit ($98.00): Perfect for all yogis, this kit incudes everything that one would need for an at-home yoga practice including blocks, a mat, and even a posture-enhancing lumbar supporter. 58. Breville Compact Juicer ($99.95): This juicer has all the power of a heavy-duty machine in a compact, well-designed, easy-to-clean unit. 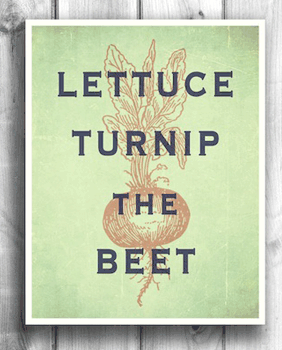 Give the gift of green juice! 59. Fit Bit ($99.95): This little bracelet will track the miles you walk and run, the steps you take, and the calories you burn each day. It will even link to a food diary app so you can keep an eye on all aspects of your health. 60. Global Giving($100.00): This season, give the gift of charity and good will by making a donation to an organization in your loved one's name. Do you have any great gift suggestions?